From the name, I am guessing that this Taiwanese owned restaurant started from selling soya drinks and eventually expanded. 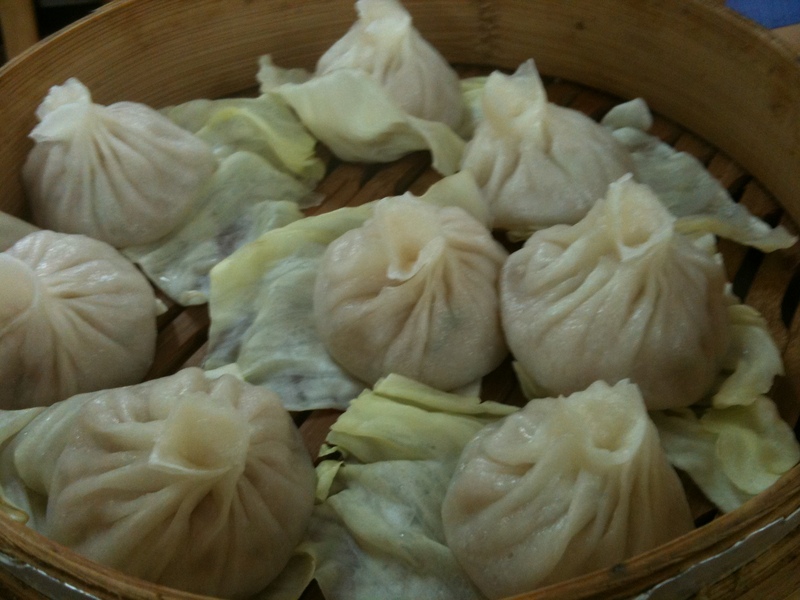 What they are absolutely great at making is the “Shia lan pao.” It’s those steamed dumplings filled with pork or vegetables, and soup inside. I absolutely love this dish. I first had it in the US in New York’s chinatown and have since fallen in love with it. Now I go try them wherever I go. The dumplings at the restaurant are made fresh upon ordering so you don’t get the hard texture of pre-frozen dumplings. The flour isn’t too heavy and thick to make you feel like you are having a big flour dumpling. They are just light with just enough texture to it. At each bite, the flour seem to melt together with the stuffings and soup. They’re even better if eaten with the freshly chopped ginger. I can never have enough of them. I used to satisfy my craving for Shia lan pao at eateries in Singapore, but since my discovery of this restaurant, I must say I find this equally or even better than the ones there. It’s not too commercialized or mass produced. The restaurant is not only good with their Shia Lan Pao. 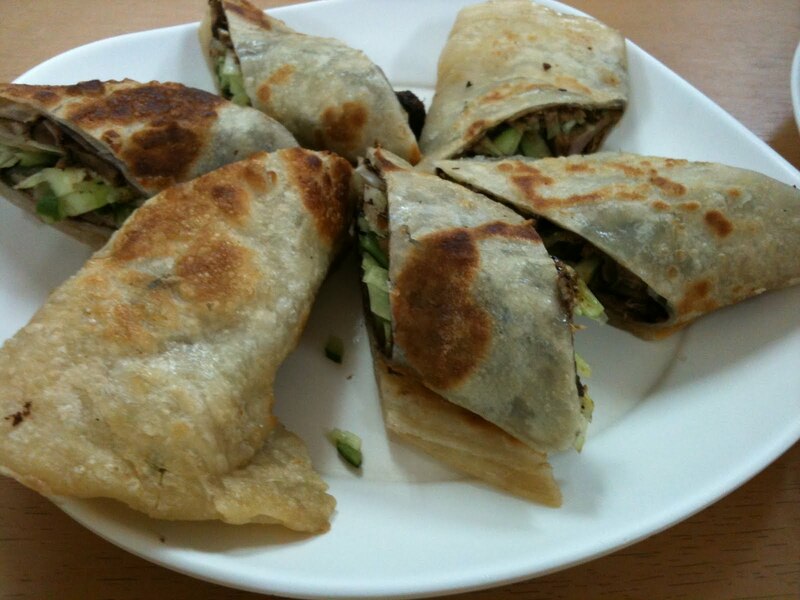 Another dish I discovered quite by accident is the beef pancake roll (Pohpia Nuea). It was accidently served to my table during a very busy lunch hour and they didn’t know who it belonged to; so we took it. It’s delicious but also heavy and filling. It’s like having a Gyro, made of a roti or pancake-like flour, rolled with slices of beef and cucumber. Definitely comfort food. 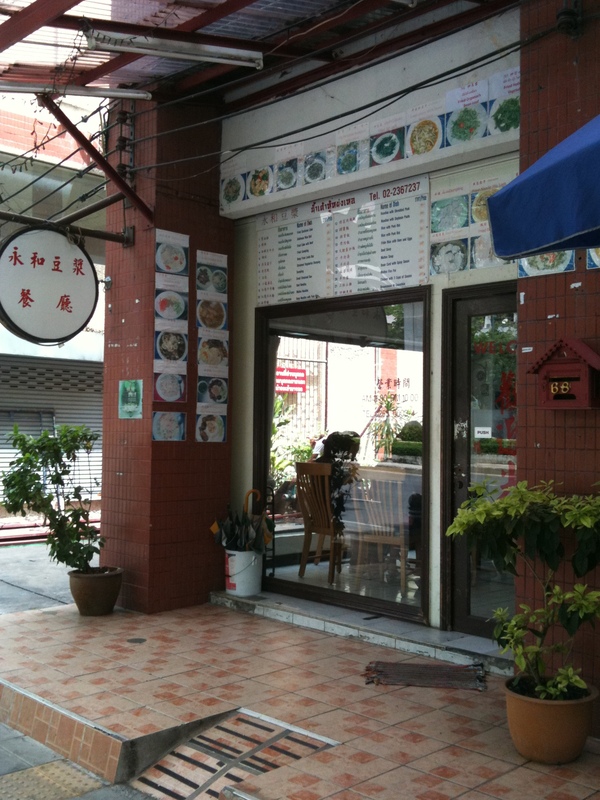 For noodle lovers, like me, they also have excellent mutton and beef noodles served with fresh homemade noodles. The soup is thick and tasty, the beef is tender whilst the noodles are just heavenly. 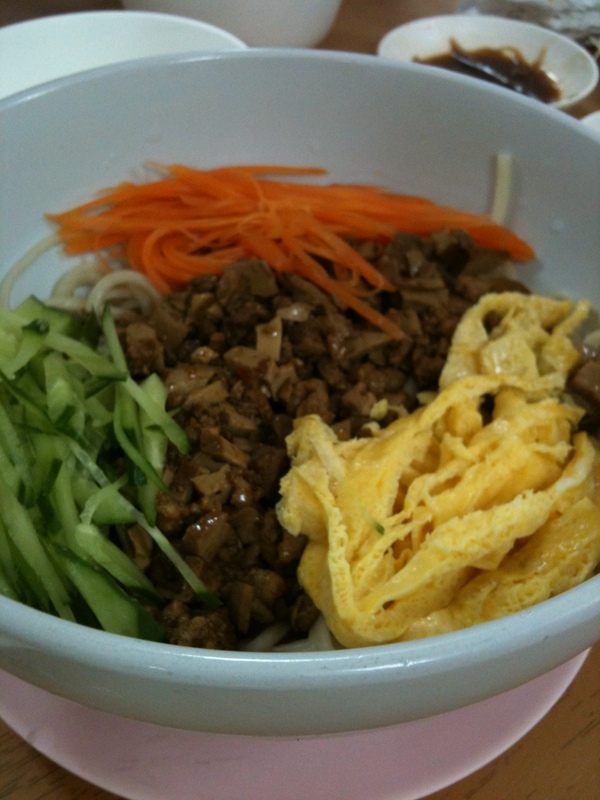 They also have the cold noodle version which is served with thinly sliced cucumber, omelet, carrot and tofu. It’s all good. I could go on and on about their food. Their stir fried vegetables, the gyoza , their beef brisket, the list is endless. They’re all good and at wonderfully reasonable prices. Don’t expect much for ambiance. They’re clean and practical. Staff are quick. On weekends, the owner’s sons help serve. I’ve seen them grow up over the years.